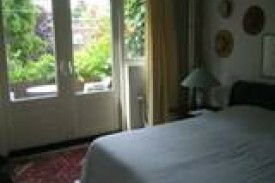 Spacious room in one of the nicest neighbourhoods of Eindhoven. The room is approx. 16 m² (175 ft²) and has its own large balcony. Access to bathroom and toilet. TV-set available in room. Bed and chair for infant available on request. Non smoking. Nearby city theatre, park and access roads. The town centre is 15 min. away by feet. The proprietor is artist. Luxurious Dutch breakfast is included. We speak Dutch, English and German. The room is approx. 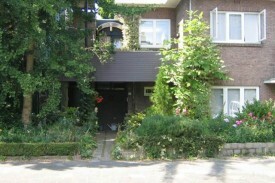 16 m² (175 ft²) and has its own large balcony. Access to bathroom and toilet. TV-set and radio / cd player available in room. Bed and chair for infant available on request. Non smoking. Luxurious Dutch breakfast is included. No experiences yet with Jan Luikenstraat. Be the first! Did you stay in Jan Luikenstraat? Let us know what you thought about it and help others to make the right choice! * I confirm having stayed in Jan Luikenstraat.